The 1988 census was prompted by mass waves of illegal immigration into Bhutan during the 1980s. These Lhotsampa retained their Nepali cultural identity, which the Bhutan government perceived as a threat. Following the census, Bhutan attempted to force Bhutanese culture in order to force assimilation. Anti-government protests in the early 1990s led to several thousand refugees fleeing Bhutan. These Bhutanese refugees arrived in Nepal and were forced to setting into camps set up by the United Nations. 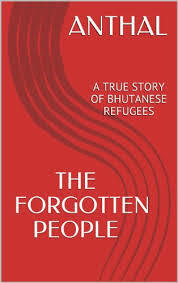 As many as 100,000 Bhutanese refugees were in the camps by 1996. The governments of Nepal and Bhutan have been unable to come to any agreement as far as repatriation, leaving these Bhutanese refugees in a state of limbo. Beginning in 2008, the UN has made efforts to resettle these refugees in the West, and many of the Lhotshampa have immigrated to the United States, Australia, and Canada. Nepal has never accepted any of these refugees into its own population, carefully restricting the refugees in that nation. Vulnerable Populations - Vulnerable Populations and Self-Awareness Research Papers study the demographics of population, and reflect on personal attitudes and values. The Crisis in Congo - Crisis in the Congo Research Papers examine the recent history and current response of humanitarian agencies such as the UN to the ongoing crisis. Pan American Health Organization - Pan American Health Organization research papers discuss the international health agency that improves the health and living throughout the Americas. Immigration - Pan American Health Organization research papers discuss the international health agency that improves the health and living throughout the Americas. Peace Treaty of Kadesh - Peace Treaty of Kadesh research papers discuss the Peace Treaty between Ramses II and Hattusili III. Paper Masters writes custom research papers on Bhutanese Refugees and examine the camps of refugees, set up by the United Nations, and discuss the efforts to resettle the refugees.